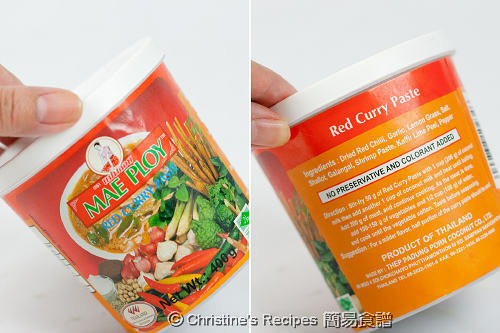 I live in Liverpool UK, I have seen this paste in Chinese Supermarkets as well as Western Supermarkets. So I think this one should be a good one. It has Tong Yam flavour as well. Would like to try this recipe one day as my daughter doesnt like too hot. I tried your cookies recipe before, it was good. It seems that this brand's quite popular around the word. Glad that you liked my cookies recipe ! 我會買楊協城個隻牌子架, 都幾香幾好食, 不過等我下次試下買你呢隻紅咖哩先, 不過會唔會太辣呀? 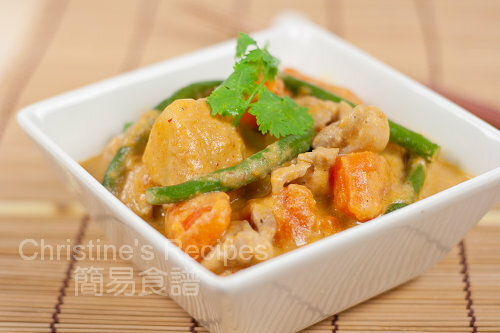 因為家中少爺唔食得太辣呢..
Just really want to thank you for providing so many yummy and simple recipes. I just got married 2 months ago and learning to be a good cook - and checking out your blog daily really helps! You'll cook better and better and enjoy more yummy foods day by day. 今天整個早上都是在看你的食譜, 真的忍不住要向你說聲多謝, 我是個新手, 又是住在 Brisbane, 你的食譜對我來說, 真的真的很實用呀, 很多謝你呀! 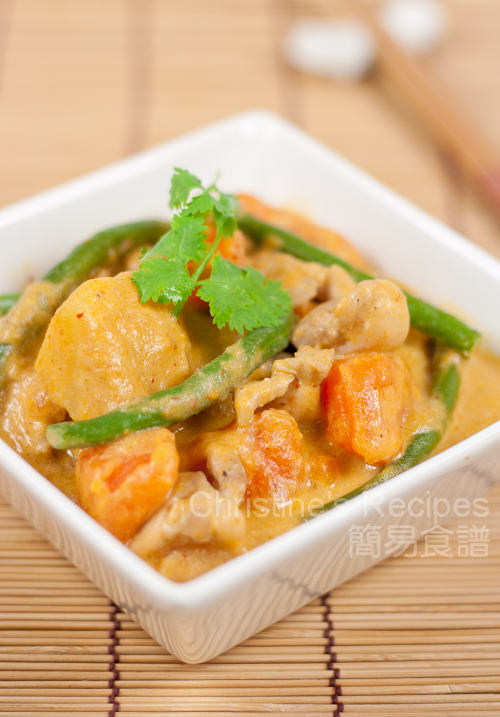 I am at Los Angeles, anyone know where can i buy this red curry? I got it from a nearby Asian grocer. Do you have any in your area?